We absolutely LOVE living here. Wouldn’t want to leave... ever! We especially love Kelli! She has been the best thing about living here. Always so friendly and always making sure we’re taken care of. Brenda W., thank you for your kind words and this wonderful review! We hope to see you soon! Very easy to get approved for a unit. Office staff went over and above to accommodate my needs. They were very flexible and informative. A pleasure to work with. Ross H., thank you for your kind review; we are happy to pass along your comments to the team here at Montecito! We look forward to your move in tomorrow. Love the area, being close to the shops and lake to walk the dog around. Place is well kept and clean for the most part, as long as people are picking up doggy poop. Maintenance response is ina timely manner. Hi Melani M., thank you so much for your positive comments about Montecito! We have lived here for over a year now and it is truly a great place to call home. It's clean, quiet and the staff goes above and beyond for the residents. Eric Jason V., thank you for your kind words and this wonderful review! Great community to live in. Very quiet and peaceful. The staff is incredibly helpful and kind. The location is great which makes it an even better place to live. Cameron R., we strive for 100% satisfaction, and it is great to see you had such a positive experience at Montecito. My wife and I enjoy our apartment. Kelli is the best office manager around. Our neighbors are kind and we mostly stay to ourselves. We enjoy it here. Austin B., thank you for your kind review; we are happy to pass along your comments to the team here at Montecito! I absolutely love it here. It’s in a great location. Nice upkept apartments and Kelli in the office is amazing! Thank you for the opportunity to live here and enjoy all of the surroundings. Carley Joyce V., we're happy you found our staff to be so supportive during your experience here at Montecito. So far it’s been perfect. The community is so nice and has so many god things about it. It makes moving so easy. With everything going on they have made it very welcoming here for all of my family. Kelli made our move in easy. We love the location of the complex. We love our view. People seem very friendly here. My pup Mila loves going for walks around the community. Lots of trees, and very clean! Christina O., your wonderful feedback and rating mean a lot to us. I've had nothing but good experiences thus far. Kelli has been an amazing Manager that made my state transition from Washington to California a lot easier. Danielle T., your wonderful feedback and rating mean a lot to us. If you have any further questions, please give us a call. We're always happy to help! This is an awesome place to live at. friendly people friendly tmanagement and it’s close to mall and movies. Lot of restaurants to go and enjoy their food. We really enjoy living here , the complex is always maintained and Kellie is the best. Repairs are done as soon as requested. Our 1bedroom apartment is a perfect fit for my husband and I. We love being able to enjoy all the restaurants, shops and theater. 4 1/2 stars out of 5 percent because of the poor parking. Everything else is awesome. Quiet living, clean grounds, great service when something needs fixing. Thank you again for leaving us this response! Living here has been amazing. It is quiet, clean and the location is unbeatable. The property manager is so helpful and attentive. This a great place to live! Eric Jason V., we strive for 100% satisfaction, and it is great to see you had such a positive experience at Montecito. Beautiful property and the apartments are well-kept great staff and management team. Near shops and freeway access makes it a great place to live. Hi Isbel N., thank you so much for your positive comments about Montecito! Love Kelly and all the maintenance folks. They are very attentive and respond to any issues very fast. Theyaways have fun Activities planned and are open to all ideas. We love living here!! Chase H., your wonderful feedback and rating mean a lot to us. We sincerely thank you for the positive review, and look forward to seeing you again soon! Kelli is SO amazing! Any question or concern I've ever had she goes above and beyond in making sure you are always taken care of! Love Montecito! Nathalie B., thanks for your praise and kind comments about our team. Until the next time we meet, take care! I haven’t moved in yet, but as of now everything is amazing! Kelli in the office is wonderful! I’m looking forward to living at Montecito and making it my new home! Windy T., your wonderful feedback and rating mean a lot to us. Thank you, and have a fantastic day! My Husband and I have been living in this community for a little over 2 years and we absolutely love it! Everyone is so nice and we LOVE Kelli. She has truly built a sense of community here and goes above and beyond for us! Taneisha T., thank you for sharing your positive experience! We can't wait to see you again, have a great day. Hi Brandon S C.! We're so happy we were able to help you out! Manager is fantastic. Location is perfect for shopping and leisure. I don't want to live anywhere else. I have waited months to get in and I'm finally moving in. 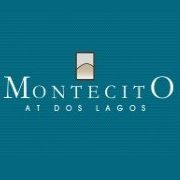 Jennifer F P., we strive for 100% satisfaction, and it is great to see you had such a positive experience at Montecito. Hello Christopher R., we appreciate you taking the time to leave us this feedback. If you have any further questions, please give us a call. We're always happy to help! It is overall a great place to live. There is a serious problem with parking that needs to be addressed. On many occasions there are company vehicles parked in spots. That means a resident is taking a spot for their own vehicle and a company vehicle. Our experience at Montecito has been nothing but pleaseant. Keli is the best site manager we’ve ever had. She has such a great personality and always goes above and beyond for her residents. I can tell that we will probably live here for years and years to come! Hi Jered N., thank you so much for your positive comments about Montecito! If you ever need anything else from us, please feel free to give us a call or stop by. Have an awesome day!